I posted this recipe before but I just don’t think the photos are fair to the recipe. So, I’m giving one more shot. 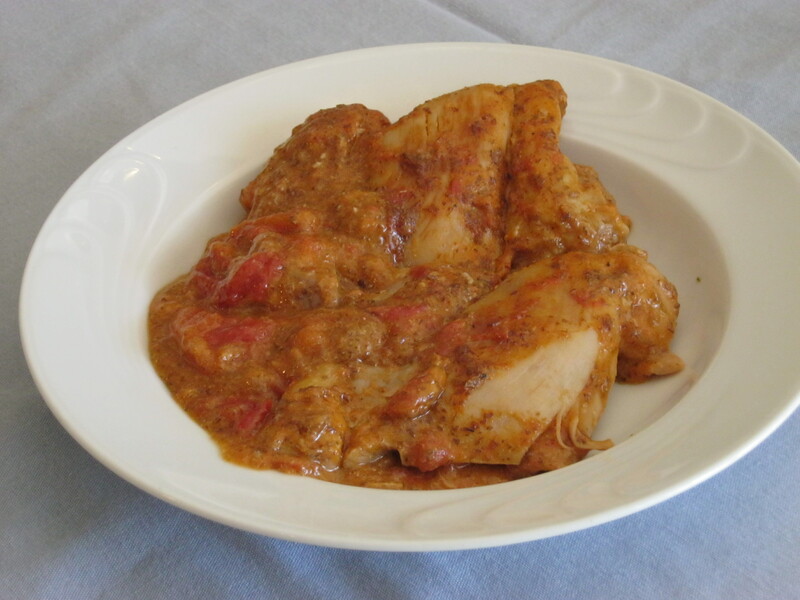 It’s a very simple recipe but the chicken comes out incredibly tender. It has a velvety texture in the mouth that you simply couldn’t guess from the pictures. Get some boneless chicken thighs, some white wine, and a can of tomatoes and go for it. This time I reinforced the dish with flax-seed for fiber, which also worked well with the texture of the sauce. How to make: In a heavy skillet, heat the oil and saute the chicken on all sides. Add the wine and scrap the bottom to dissolve any hard parts in the liquid. Add the tomatoes, salt, pepper, bay leaves, and flax-seed. Cover and cook for about 45 minutes. Check occasionally to be sure there’s enough liquid. The tender chicken taste delicious! i am so glad I found this site and your receipe ,now I can make something that reminds me of home.